During electroless nickel plating processes in stainless steel tanks, nickel deposits can build up rapidly, often unexpectedly, inside the bath. Because of the damage that this does to the tank s passive surface, the process bath becomes unsuitable for further production and must be renewed or replaced. this problem can be solved by using the anodic bath protection system PKA 2. The system monitors the actual bath potential and corrects individually the required minimal opposite potential. This results in a prolonged operation life, savings and a high degree of reliablility. 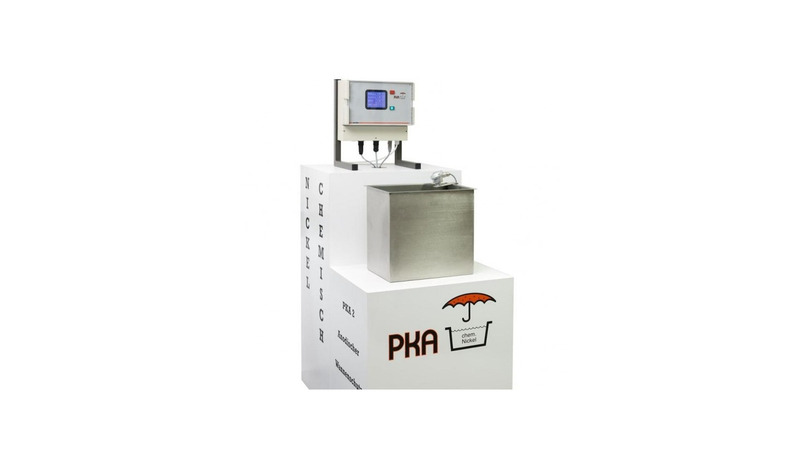 The bath protection system PKA 2 for electroless nickel is available as wall-mounted case or as 19" plug-in module for the quick exchange of existing solutions.